The SYSTOR 2015 organizers cordially invite you to join them for a poster session, dinner, and music. The event will take place on Tuesday, May 26, from 17:00 to 19:00 at the IBM Haifa lobby and outdoor patio overlooking the beautiful Haifa Bay. 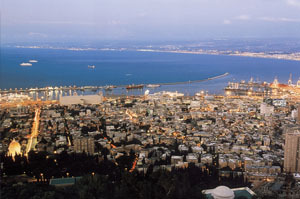 This year we will visit Tzipori - according to Byzantine and medieval lore the birthplace of Mary, and the ancient city of Nazareth.We will depart from the IBM Haifa site at 2:00 pm, and return to Haifa at approximately 10:00 pm. Our tour will start with the short drive to Tzipori, and a tour of the beautiful mosaics that have been called a regional catalog for the ornate floors the Romans loved! 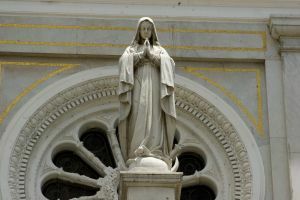 We will continue to Nazareth, where the angel Gabriel told Mary she will become a mother, and today is the largest Arab city in Israel. A visit to Nazareth is an unforgettable experience. It combines a rich history, fascinating archeology, modern culture, and Middle Eastern charm. We end our trip with a light dinner. Please do not forget to mark that you want to join this social event when you register for the conference. For further information, contact Eti Jahr.